Welcome back to the #LMMLinkup this week where we will focus on the value of writing confences. 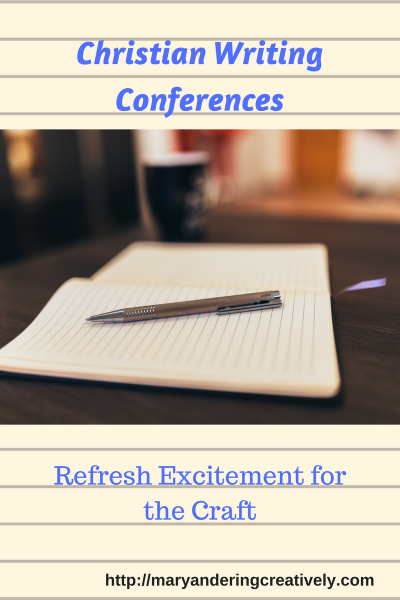 Writing conferences refresh excitement for the craft which is exactly what I found at the 2018 Carolina Christian Writers Conference in Spartanburg this past weekend. The conference featured a great list of experts in the Christian writing industry including Christian freelance journalist and author, Candy Arrington, independent publishing expert, Sarah Bolme; national president of Advanced Writers and Speakers Association, Edna Ellison; acquisitions editor at JourneyForth Books, Nancy Lohr; writer; cofounder of Christian Devotions Ministries, Cindy Sproles; and CBN.com’s Senior Spiritual Life Internet producer and editor, Beth Patch. This list represents just the tip of the iceberg of people who shared their vast knowledge with conference attendees. The two-day conference featured great workshops on an array of writing topics including tricks and techniques for fiction and non-fiction writers; ways to publish; and time management. 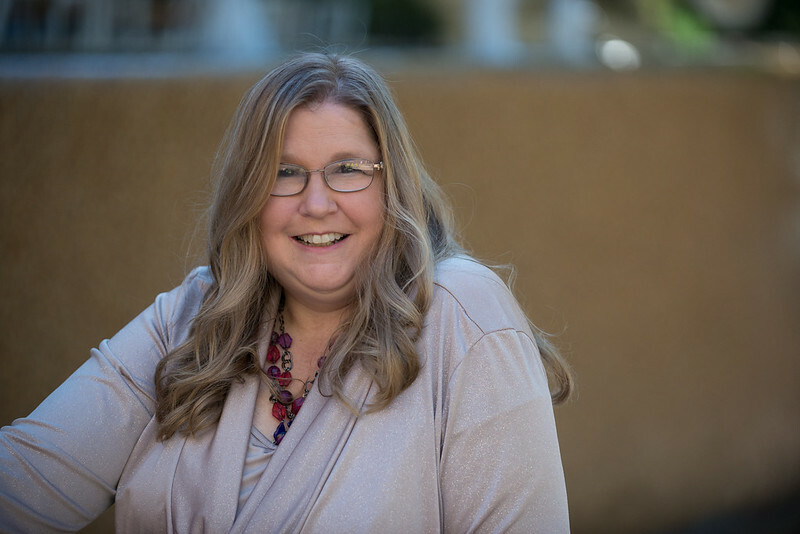 My favorite pointers came from Michele Cox, creator/developer of the Just 18 Summers® brand during one of her workshops on managing the writer’s life. Mrs. Cox explained her scheduling technique for accomplishing the myriad of goals she strives to complete each day. She also stressed the importance of warming up the fingers and periodically doing neck exercises to protect joints that can become strained during writing. I know this is great advice because I sometimes power my way through without taking breaks and pay for it later. From Edna Ellison, I learned about writing plots and stories that keep readers’ attention. Candy Arrington stressed the importance of being teachable, flexible, and patient as a writer; social media guru Edie Melson, emphasized the importance of understanding Search Engine Optimization techniques as a blogger and having a consistent presence across a writer’s social media platform. I also learned from Edie that the best royalty free image site is Pexel. Really, I learned so much that I could write a whole series of blog posts on the conference. Another great highlight of the whole conference involved meeting a regular blogger from the #LMMLinkup, Barbara Harper who writes the Stray Thoughts blog! I also enjoyed spending time with my new friends from the South Chapter of American Christian Fiction Writers including Fran Strickland Anderson and her husband as well as the representative from the South Carolina Foothills Writers Guild, Carlene Shuler Brown. Special thanks go to Linda Gilden for organizing everything. Thanks to all the team who helped everything go so smoothly! Great job! 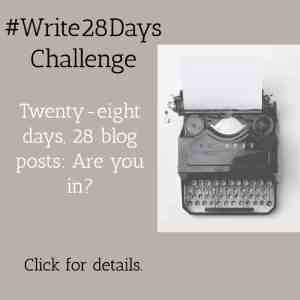 Have you attended great writers and bloggers conferences? Which do you recommend? Share links and ideas in the comment section. Thanks so much! Writing conferences serve to refresh excitement for the craft which is exactly what I found at the 2018 Carolina Christian Writers' Conference in Spartanburg this past weekend. We are also seeking part-time hosts to sign up on a weekly basis. As a part-time host you will serve as a cheerleader and help read no more than 10 blog posts of those linking up with us. You will just leave an encouraging message and share the posts across your social media. For helping out, I will write up a feature of your blog, including a bio with all your social media links. You only have to sign on for one week at a time; so, there is no long-term commitment. Let me know if you are interested by emailing me at marykatbpcsc45 @ gmail.com. 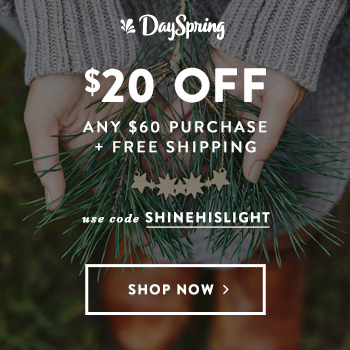 Talk about another great resource-filled post! 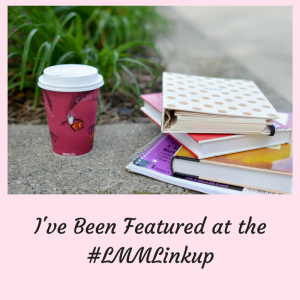 Lisa composed her post for Leigh Kramer’s What I’m Into Link Up. 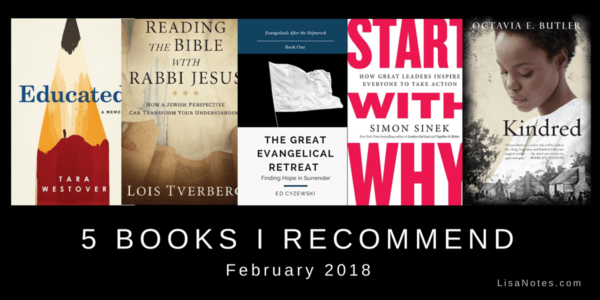 This post includes great links to articles and podcasts; five books she recommends everyone read; as well as sweet updates. I just love this post because I also am introduced to other great bloggers. Be sure to visit this post. You will not be sorry. Her beautiful pictures really gave me spring fever. I can’t wait for the season to arrive either. She filled her post with wonderful family scenes of imagination and happiness. She also mentions her husband being hurt recently. Please be sure to visit and wish him well. I love reading Rebekah’s blog and I know you will too. These are awesome tips, Mary! I try to block my tasks by keeping a timer as you mentioned…if not I will find myself sitting for hours with my eyes glued to the screen. Neither of which are healthy. Thanks for sharing what you learned the conference! Neca, so glad you found them helpful. I hope you will continue to participate in our community. I enjoy your blog so much. I hope your March has been going well! Thanks for hosting! Mary, thank you for featuring my post . . . and the writer’s conference sounds so wonderful! Rebekah, you are so welcome. 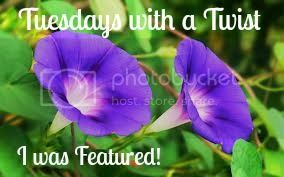 Thank you for hosting this link up it is so great to be a part of this creative community! Mary, Thank you for including some of the tips you learned. I am in the process of trying to figure out which conference to go to in 2018. Hi Mary! Great recap of the conference–I know a lot of the people on staff from interacting with them at the Greater Philadelphia Christian Writer’s Conference. Just saw Sarah at the Write to Impact conference the beginning of February and my book, The Gatekeeper’s Key, is nominated in the CSPA Christian Indie Awards. I would love to make it to a couple of other conferences each year, but the Philly conference is jam packed, too, and I work through the year to prepare for that one, nearest me. Yes, we grow leaps and bounds with we hang out for a weekend with kindred spirits and gatekeepers! Congratulations on your nomination. 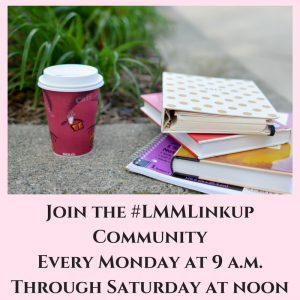 I would love to feature you on the #LMMLinkup. Thanks for sharing. Sounds like a great conference and getting to meet up with on-line friends is fun. I really enjoyed it. Thanks for stopping by. It was so nice to meet you, Mary! My head is still spinning, processing all I took in. Such good stuff. This was my first writer’s conference, and I definitely want to go next year. Barbara, it was nice to meet you too. I highly recommend that conference. Maybe next year more #LMMLinkup bloggers can go and we can all have dinner together. It is such an affordable conference. Thank you for sharing these resources, Mary. I’m going to check out that free image site. And thank you for offering this great community here for us to be a part of! Blessings to you! Bette, it really is a great site. The photos are so gorgeous. I know you will find somethings to create graphicsfor your bog. 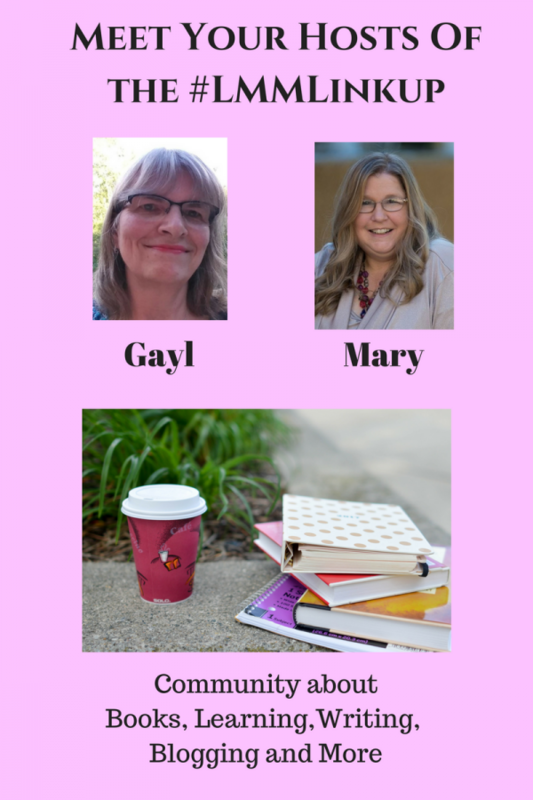 Thanks for these tips from your writer’s conference, Mary! I went to She Speaks last summer and really enjoyed it–gleaning a lot from the experience and speakers. That conference was in NC too. It seems there are a lot of conferences based out of the Carolina’s! 😉 Have a great week, my friend! Mary, I’m getting a strange error message when I try to link a post. Maybe others are as well? And thanks for the update on your conference. Someday, I’m going to attend one, too! Thank you for letting me know. Will try to fix soon. What fun to go to a writer’s conference! I love the tip of blocking out 25 minutes at a time–that’s doable! Oh wow, that writing conference sounds delightful! I’ve never been to one, but one of these days I’m going to get myself there. So many good reasons to go, including meeting other bloggers. Thanks for sharing this and thanks for sharing my post, Mary. We appreciate what you’re doing for all of us!